The heated pool means it's never a bad time to take a quick dip. At just steps to the lifts, there's no excuse not to be at the front of the line. Shouldn't your vacation pad be just as big (or bigger) than your home? Elk Camp Gondola and Village Express are right across the street. The sooner you're in line, the faster you'll be on the slopes. Switch up your aprés ski spot, it's just a 3 minute drive to downtown Snowmass Village. Take an afternoon time-out in the beautifully landscaped heated pool, open year-round. Undo the day's damage in the 2 year-round hot tubs - one with a cascading water feature. Lace up your hikers, it's just a 6 minute drive to Highline Trail. Book a tee time at Snowmass Golf Course, a 7 minute drive from the resort. So you want to be close to the slopes for your ski getaway to Snowmass, but why get a hotel room when you could have your a whole house? Tamarack Townhouses are two-story rentals located just 100 yards from the lifts that provide you and your crew with all the comforts (and space!) of home. Fuel for the powder day ahead with a hearty home-cooked breakfast courtesy of a fully equipped kitchen. Once everyone is well fed and warmy dressed, just grab your gear and waltz outside and over to the slopes. The lifts at Snowmass take minutes to walk to, even with little ones in tow. If you’re traveling with a tot swing by the Treehouse Kids Adventure Center where they can spend the day at ski camp, or hang out in the licensed daycare’s Colorado-themed interactive playrooms. Snowmass Ski Resort boasts 150 trails across 3,300 acres, plus you can explore the neighboring Buttermilk, Highland, and Aspen Mountain ski areas. Just hop the free Aspen town shuttle - your lift ticket is good at all four resorts! At the end of a day of shredding rendezvous with the crew at Base Camp Bar & Grill for an aprés beverage (cocoa for the kiddos, Hot Toddy for the grownups) before heading back to your townhome. You could always whip up something for dinner, but ordering delivery pizza is a totally valid option. Cap the evening with a quintessential aprés ski soak at the hot tubs, where the lagoon-like landscaping will make you feel like you’re in a natural hot spring. Two- to four-bedroom split level condos are spacious, well appointed, and most of all - homey. Individually decorated with a touch of alpine flair, each rental has a gas fireplace in the living room and a second fireplace in the master bedroom for maximum coziness. Fully equipped kitchens let you cook up whatever you’re craving, while in-unit washer/dryer makes sure everyone has fresh longjohns to ski in. Cable TV and private ski lockers are added perks. 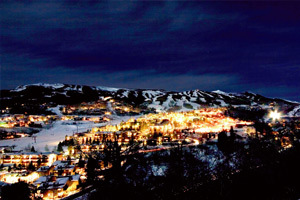 Take a break from the slopes and take the town shuttle to browse Aspen’s quaint downtown area. Take a stroll down historic Main Street to admire the Queen Anne Victorian houses, or check out the Wheeler Stallard Museum – located inside the 1888 home of Aspen’s founding father Jerome B. Wheeler. Once the stomachs start rumbling, pick from an array of fine dining options; from high end seafood and specialty cocktails at The Grey Lady, to a candlelit dinner of Mediterranean cuisine at The Wild Fig. - The check-in location differs from the property location. To check in go to Stonebridge Inn located at 300 Carriage Way, Snowmass Village, CO 81615. For more details please contact the property using information on the booking confirmation.